The big day dawned overcast with the prospect of clearing later in the morning. 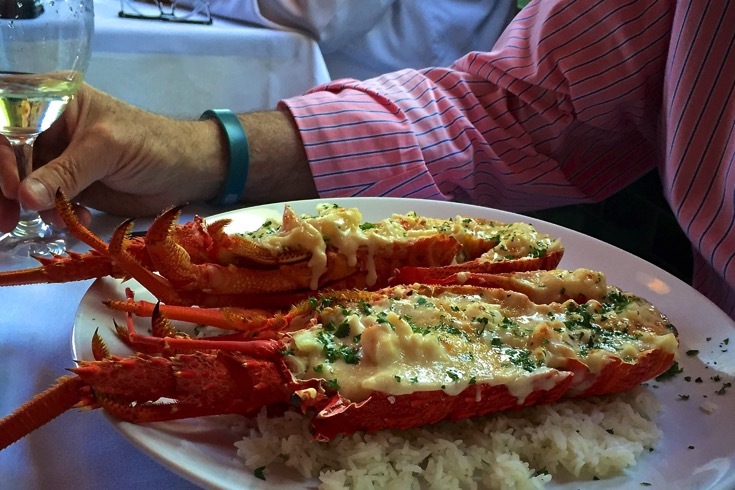 Robin had organised lunch at my favourite seafood restaurant, Rubiras in South Melbourne, where some crisp white wine and a tasty King Island Crayfish Mornay greeted me. And I reciprocated enthusiastically! 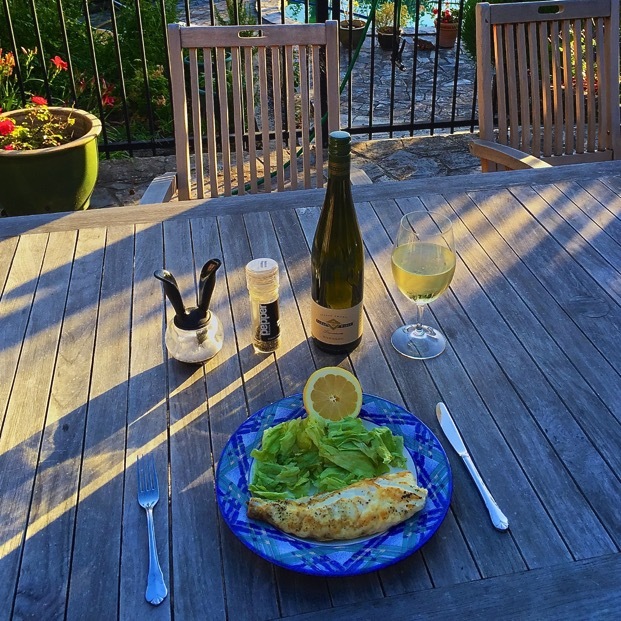 And the evening turned out to be just glorious so we ate on the back patio, more seafood with BBQ snapper fillet and yes some more crisp white wine! But more was still to come. 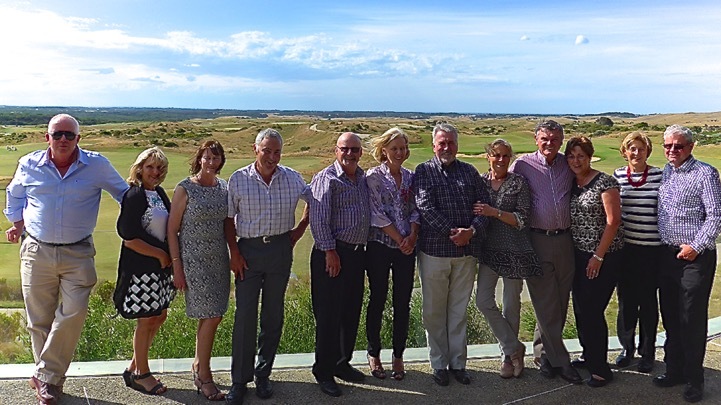 On Saturday Robin organised a 'surprise' party at The National Golf Club with ten of our best friends in attendance. What a great day. 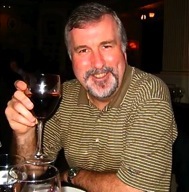 A window table with a gorgeous view over the links, delightful food and wine and superb company. 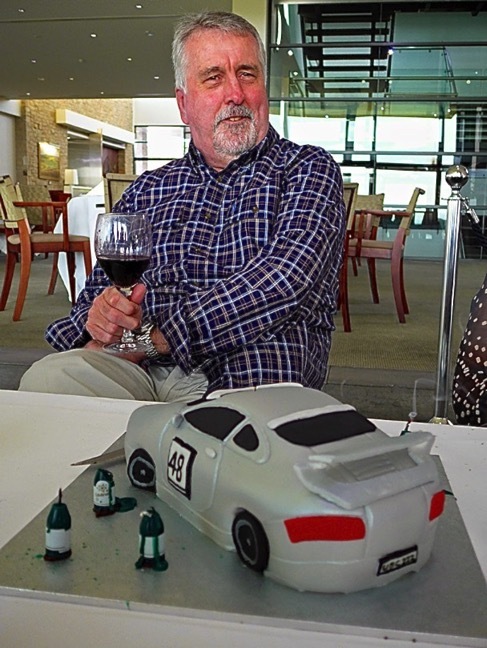 If that wasn't enough, the highlight was my birthday cake, a handmade replica of my Porsche GT3 racing car. Just awesome! Well done Robin for the superbly secretive organisation and to my friends for their wonderful support and fellowship over the years.